Have you started to think about the autumn and all the work you will be doing engaging your contacts and bringing in new business? Perhaps you are exhibiting or getting out and about on visits? Either way, if you are taking a pen to leave behind or for your own use make sure it is a good writer and will be appreciated by the recipient and used until they pass it on or the ink finally runs out. Here at EMC, we love rollerball pens and particulary gel pens which have a smooth writing experience and leave a strong imprint. 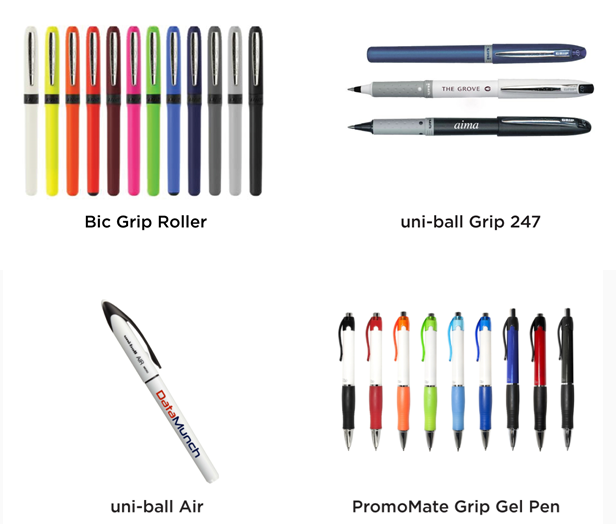 Below are a selection of 4 of the best including the bestselling Bic Grip Roller now available in 12 colours.